Adjustable seat height 23" to 33"
The Alvin Zenith Drafting Chair is designed to provide ultimate comfort and convenience. It features ergonomically contoured molded foam cushions for its backrest and seat. The three-inch thick backrest measures 17"W x 16"H and has adjustable height and depth. It also comes with a tilt-angle control. The extra thick seat cushion is 19"W x 18"L x 3 ½"H and offers a curved waterfall front edge which helps reduce pressure on the legs while sitting and improves circulation. For maximum comfort, the width and height of its padded armrests can be adjusted to seven positions. 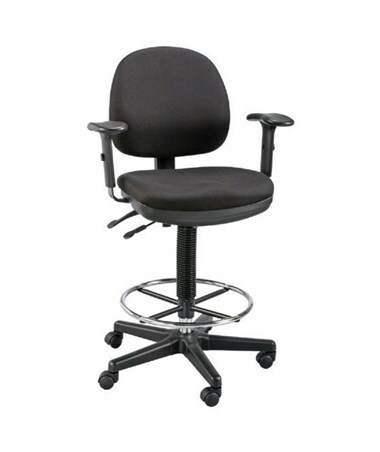 This drafting chair is equipped with adjustable seat pitch and a pneumatic height control that allows seat height adjustments from 23 inches through 33 inches. Its 18-inch diameter chrome foot ring has adjustable height as well to give necessary support and additional convenience. With a sturdy 26-inch diameter steel reinforced nylon base, it is tough and stable. 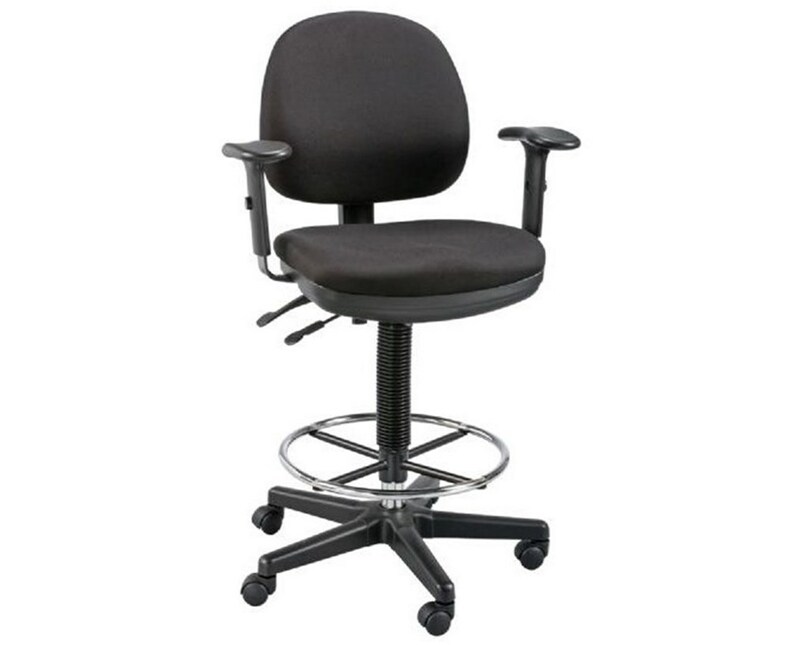 The Alvin Zenith Drafting Chair includes five dual-wheel casters for total mobility. This is to ensure efficiency at work. The seat and back shells are made of durable polypropylene material to guarantee many years of service. Adjustable Height 23" to 33"